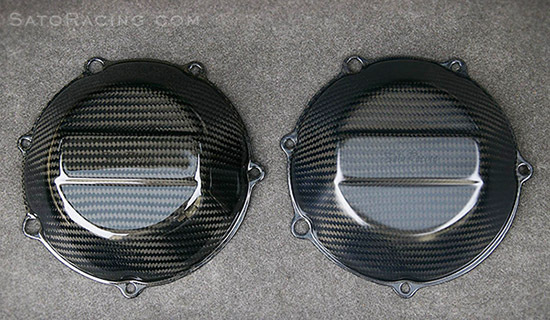 parts are strong and durable, yet also incredibly light. 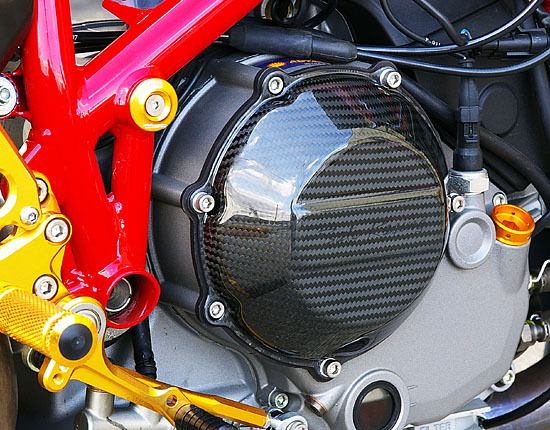 SATO CARBON Clutch Cover replaces the stock clutch cover on Ducati and Bimota models with a dry clutch. 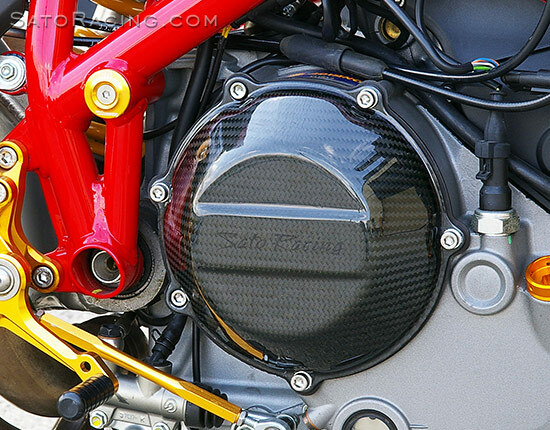 Thist sturdy carbon composite cover features a raised center with subtle etched Sato Racing logo art embedded in the finish. Choice of Matte or Glossy finish.